My Top 3: Eyeshadow Palettes! | Becky Alyssa's Beauty Box. My Top 3: Eyeshadow Palettes! Organising and paring down my enormous makeup collection is nothing short of an arduous task. Just like most, I began with a humble kit of cream foundation, blush, powder and mascara. Several years and many £s dropped later, I have more stuff than I know what to do with. Trouble is, some items I have several versions of, I really truly adore & couldn’t bear to be parted from them. Girly problems for real. I thought I’d put this crazy collection to good use – writing about some of my all-time favourite from some of the many, many products I already own. Hopefully I can help you out with finding a new product to enjoy, or if you’re new to makeup, some options to get started! 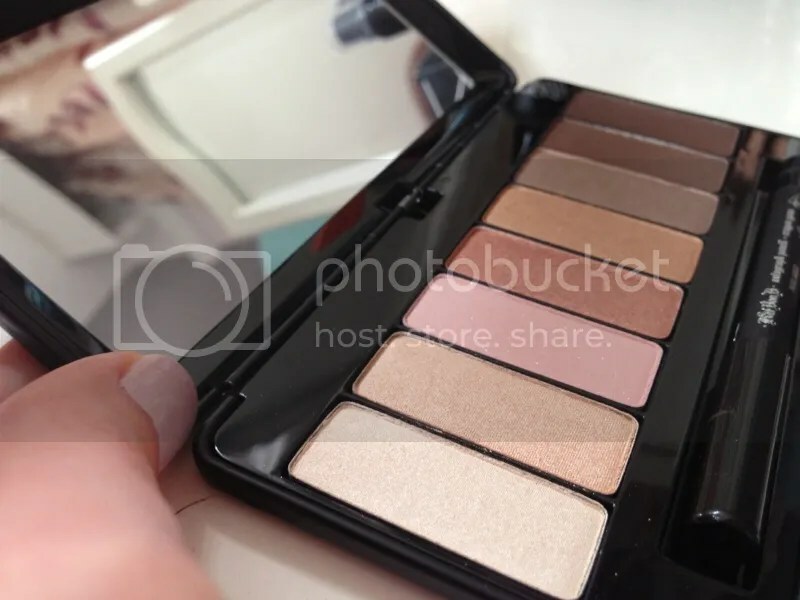 Today I’m telling you all about .. my top eyeshadow palettes! Palettes are a dangerous thing. They’re often beautifully presented, in a pretty box or tin, with a gorgeous array of colours that just go together perfectly. “I could create so many looks from this!” you think to yourself. These days there are so many options, each branded and presented better than the last, so it’s all too easy to end up with 50 of the things and never get around to using most of them. And there’s so much in there to get through! How many palettes have you ever finished up? Exactly. Here are my picks, saving the best for last. This teeny-tiny palette is my new favourite for travelling. It’s slim, compact and lightweight so it fits into even the smallest of makeup bags with ease. Which is exactly what you need if you have to travel light. 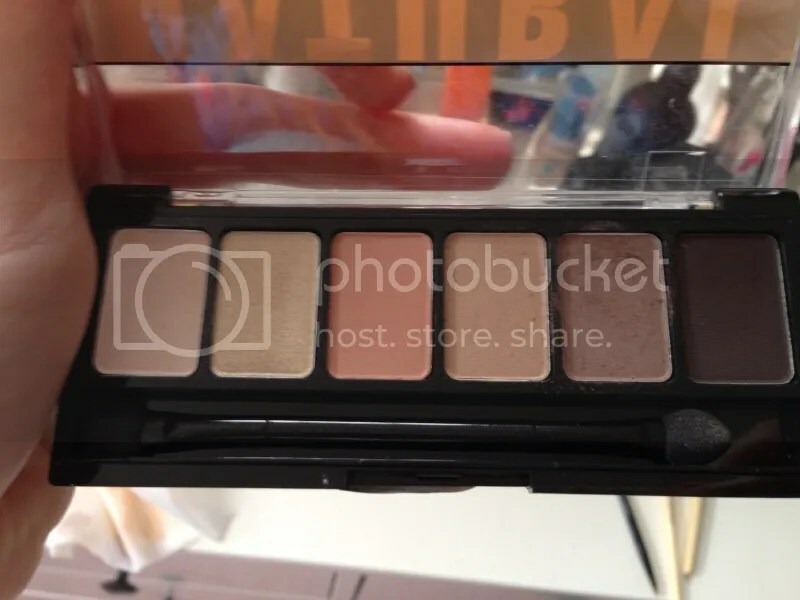 I was never a fan of the Naked Basics palette – too many highlight shades that didn’t work for me, only one brown shade and a black I’d probably never use since shadow liner takes some real getting used to. Who wants to pay over £20 for a palette to never use it? Anyway, this little beauty I picked up in Ulta in the USA features 6 neutral shades that are super-easy to wear with pretty much any look. I have to admit I never use the orange-brown, but the other shades get plenty of use. This is ideal if you’re travelling but still want some choice so you’re not wearing the same shadow every single day. The pigmentation isn’t Urban Decay standard, but a great deal for the price. A travel bag must-have. I still can’t believe the UK is so behind with getting some of the stunning US brands sold in stores over here – I’m sad enough over not having a Sephora! I was lucky enough to get this in a makeup swap with a lovely lady during the summer. 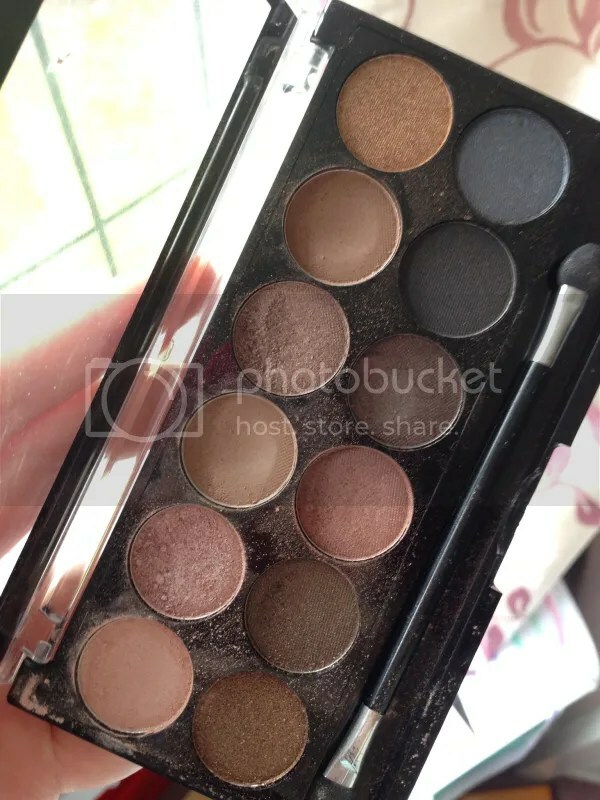 Surprisingly I haven’t reached for this stunning neutral-packed palette a great deal, though I think it’s because I keep it put away in a drawer and forget about it in my morning zombified state! As you can see, a great selection of highlight shades, mid-tones and dark browns for a fully tailored neutral eye, incorporating both matte and shimmer shades so you have plenty of choice. The shadows are ‘buttery soft’ as many like to say, wonderful quality for the price (especially the US price which is a steal indeed). Each palette even comes with an excellent quality black pencil liner – personally I prefer gel liner, but these are always useful to have in your collection. The only issue I have with this is the packaging – it’s beautiful and the large mirror is just perfect, but the ‘spring’ mechanism makes it slightly awkward to hold in one hand whilst getting ready and I keep getting scared I’ll drop it! It also makes the product feel cheap, which I don’t like since these aren’t cheap at all. I’m going to be more proactive about using this stunning thing day-to-day so I’ll be keeping it on top of my dressing table from now on. No prizes for guessing what this is an absolutely obvious dupe of! If you don’t already own the Naked 1 palette and don’t want to spend ~£30 on eyeshadow, you need this wonder palette in your life. The quality isn’t quite on the same level as Urban Decay, but close enough – truly incredible for £4. This is always on my dressing table and as you can tell, I use this a whole lot – almost every single day. Since it was so affordable I don’t feel bad about using too much or experimenting with shades – I even have a backup in case I ever lose or break it. It seems to be incredibly popular and nearly always sold out! My only problems with this palette – the packaging. I know for £4 I’m not going to get some ultra-sleek, magnetic wonder, but part of the fastening broke off completely so it doesn’t snap shut anymore. Also the fallout – this isn’t a problem when on my eyes, but as you can see it does get messy. Problems aside, this is my absolute most reached-for and versatile palette – everyone needs one! I hope you enjoyed my brief run-downs on the favourite palettes in my life! What’s your favourite eyeshadow palette? Do you own any of the above, & if so, do you love them too? This entry was posted in Uncategorized and tagged eyeshadow, top 3. Bookmark the permalink.